Soundbars can take your living room to the next level. A soundbar comes with a pack of all the sound equipment that you will possibly need to have an enhancing experience. You might prefer one with Bluetooth connectivity. 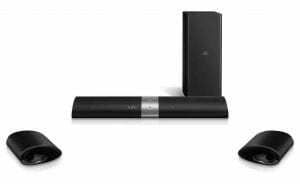 But it is not easy to buy a Bluetooth soundbar that can complement your TV with the right sound. The wide availability might confuse you. For your help, followings are the details of the top 10 best Bluetooth Soundbars. Samsung HW-MS750 is a gem that can fulfil all your demands without hurting your budget. Yes, it is affordable that packs many speakers in one frame. It is longer than the competitors. It adds an extra five inches. 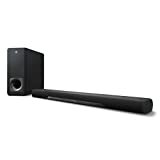 This soundbar can be a great option for those who do not have any space limitation. You will not get a subwoofer. But you can expect some best functionalities that include the multiple channels of audio, good remote with brilliant functionality, and serious power. It is compatible with WIFI and Bluetooth. It is highly appreciated for the quality sound and eleven speakers. When it comes to the downside, you might not like the size. It is very long and will not fit in a restricted space. 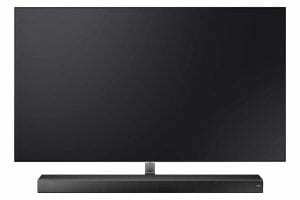 Yamaha YAS-207BL comes with a beautiful design. This Bluetooth soundbar can be great for those looking for an affordable and compact device to improve the TV sound quality. This soundbar comes with a total package with Bluetooth connectivity. Besides, you will have 300 watts of power, an additional subwoofer, and DTSX surrounds sound. 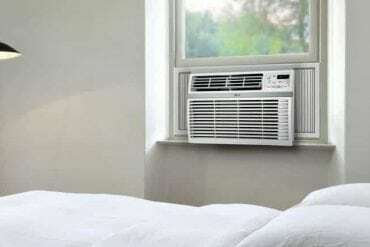 You cannot expect all these features within this price from any other model. It has a smooth design and an excellent app with a very decent sound. You might need some extra effort for the audio details. This product is highly appreciated by the users for the sound quality, Bluetooth connectivity, and affordability. A few are not satisfied with the detailing. 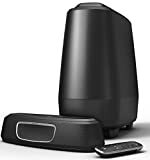 Samsung HW-K950/ZA 5.1.4 is one of the best selling products that come with fifteen built-in speakers that will include two rear wireless speakers, four up-firing speakers, and one exterior subwoofer. Yes, you will be impressed by immersive 5.1 Dolby Atmos soundstage that can offer you a movie theatre experience. You can play the streaming services from your smartphone. It has the Bluetooth connectivity that will enable the users to stream and play any favorite music wirelessly from any Bluetooth compatible devices. 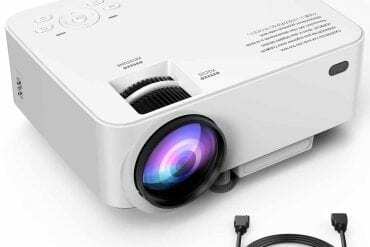 Some users have recommended it for good sound, speakers, and Bluetooth connectivity. The downside is that you will have to spend more on this soundbar and it will demand more space as well. You will love the size and design of the Focal Dimension 5.1 Soundbar. When it introduced for the first time, it was overpriced. But now, the price is reduced significantly. 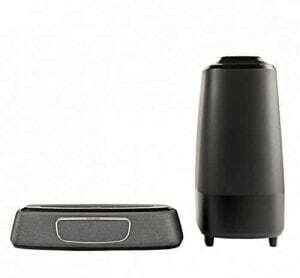 It is one of the best Bluetooth soundbars available in the current market. It offers an excellent imitation of 5.1. Besides, it will have built-in subwoofers to get your brass right. 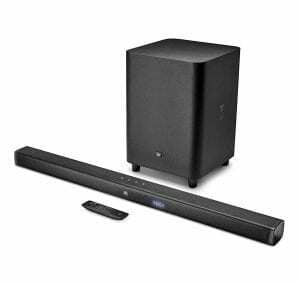 This soundbar comes with five speakers to deliver a good quality surround sound. 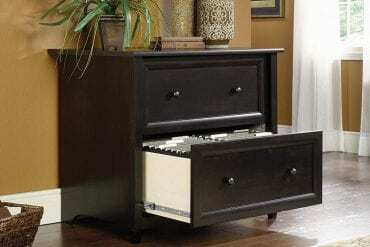 The design is also impressive and the compact size can be a good option for a limited space. You can consider the excellent surround sound while buying this product. Only a few users think that you can buy a better product with this price range. JBL speakers are considered powerful and loud. JBL Bar 3.1 Home Theater Starter System is not an exception. You will love the room-filling sound. As it comes with an enhanced JBL SoundShift, you can instantly switch from one device to another. It is designed to connect multiple devices at a time that makes it an audio home hub for any home. You just need to download the JBL Connect App to use it in unison with any other wireless JBL speakers. But it is not designed for the music playback and everyday use. It is appreciated by the users for expansion options, connection with multiple devices, and wireless subwoofer. The downside is that it is not ideal for music. 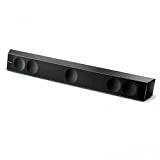 Philips B5/37 Fidelio Soundbar is a stylish and user-friendly soundbar designed for everyday use. You might not like sound-quality, but the design can enhance the look of the interior of your living room. It comes two three-way speakers to fill the room with great sound from both the sides of this soundbar. Besides, it will have an exterior wireless subwoofer and surround sound function. It provides streaming capabilities with WIFI and Bluetooth-friendly. It is appreciated for the sleek-design and room-filling sound. But a few users want improvement in the sound quality. The product is also expensive. 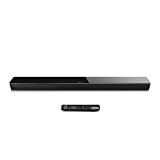 Bose SoundTouch 300 Soundbar is recommended for good quality sound. It is a relatively new model designed to enhance the experience of the user with some additional flavor. Yes, you will love everything about the product that might be design, performance, and build quality. It is huge and will demand more space. You will have an additional subwoofer, invisible 300 wireless surround speakers, and Bluetooth and WIFI connectivity. It comes with some advanced technologies to make the sound clear so that you will be fully immersed in the sound. You might need additional speakers if you want to make most out of it. ZVOX SB500 Aluminum Sound Bar comes with dual built-in subwoofers and three 2 main drivers. It can be placed upright and can be wall mounted as well. You can simply put it on the furniture. It has a disappearing digital display. Besides, it includes several sound options such as the AccuVoice. The compact size makes this soundbar an excellent choice to fit under your TV. It needs only one wire connection. You can also use a remote control to operate this soundbar. It is WIFI and Bluetooth-friendly. 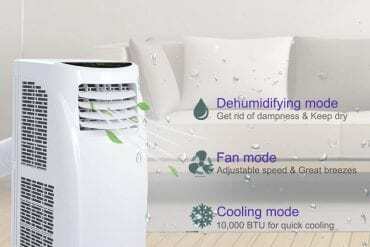 It is appreciated by the users for the clear voice, Bluetooth connectivity, and taming clear commercials. The downside is that it is not perfect for music. Polk Audio MagniFi Mini Home Theater is one of the preferred choices for the compact size, nice design, and Bluetooth connectivity. 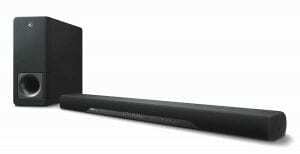 It is a user-friendly soundbar that comes with a full range of features. The size is the center of the attraction. It is just like a Subway sandwich. Besides, it has universal compatibility, Polk Voice Adjust technology, and massive surround sound. It can also support your multiple systems. You can plug everything you need into the TV and then you can use the soundbar as the main output. You will also have different sound options as voice adjusts and Night Effect Mode to offer you a unique experience. The product is appreciated for the wide soundstage and the ultra-compact size. When it comes to the negative side, you might not prefer muddy upper-midrange. Q Acoustics M4 Soundbar might not be the best model that you are looking for. But you can expect some of the advanced features within your price. It is easy to set up and run. You will also appreciate the simple remote and its functioning. This soundbar does not have extra channels, but still you can expect a great and quality sound in your small living room. Q Acoustics M4 Soundbar is Bluetooth-friendly. It is appreciated for the easy setup and excellent sound quality. The downside is that there is no control for the sound. @2019 TopTenReviewPRO. All Rights Reserved.